Irrevocable trusts offer tax benefits but come with restrictions. 2. 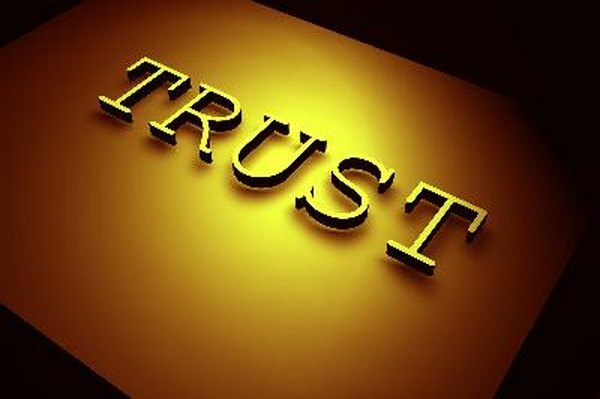 Can a Trust Hold Real Property? 3. How Safe Is Your House in a Revocable Trust? Irrevocable trusts are more restrictive than living, revocable trusts, but you can continue to maintain control and management of any assets you have in them. The dangers of these trusts lie in your inability to legally change the terms you've selected, including terms pertaining to the allocation of your assets or named beneficiaries. The primary danger of creating an irrevocable trust is that you might change your mind in the future about the terms you want. This is a risk you shouldn't disregard. Spending time thinking about your wishes now and projecting your preferences into the future will minimize these risks, but it won't eliminate them entirely. Should your primary concern be your ability to keep and occupy your home during your lifetime and that of your spouse, creating an irrevocable trust, with provisions allowing you to stay in your home, is a good solution. Creating an irrevocable trust secures your right to live in your home, while still avoiding probate taxes for your heirs after your demise. Should you wish to sell your home, however, the irrevocable trust language may eliminate that option. While state laws and regulations differ widely, you will have difficulty modifying the terms of an irrevocable trust in all jurisdictions. For example, should you change your mind about the heirs to your assets, it will be difficult to add or remove the heirs named in your trust language. Try to be as sure as you can be that the terms, including your named heirs, are those that you feel will not change over time. The inflexibility of irrevocable trusts have caused people to have second thoughts about this trust type. If your primary purpose in creating an irrevocable trust is protection from creditors, your state laws might give you the security you want, but you should check to be sure before setting up a trust for this reason. In most jurisdictions, irrevocable trusts offer protection from successful attacks by most creditors. Often called credit shelter trusts, these can be created by married couples. These irrevocable trusts protect the trust assets from current, future and and surviving heir creditors, as these creditors cannot gain access to these assets for debtor default. Cushing & Dolan, P.C. : Irrevocable Trusts -- Not as Frightening as You Might Think!